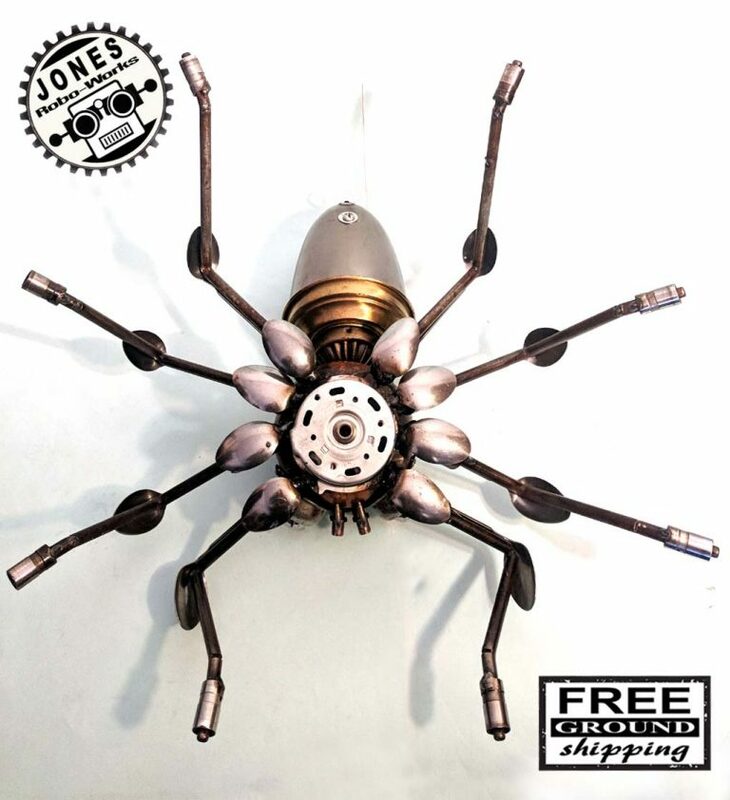 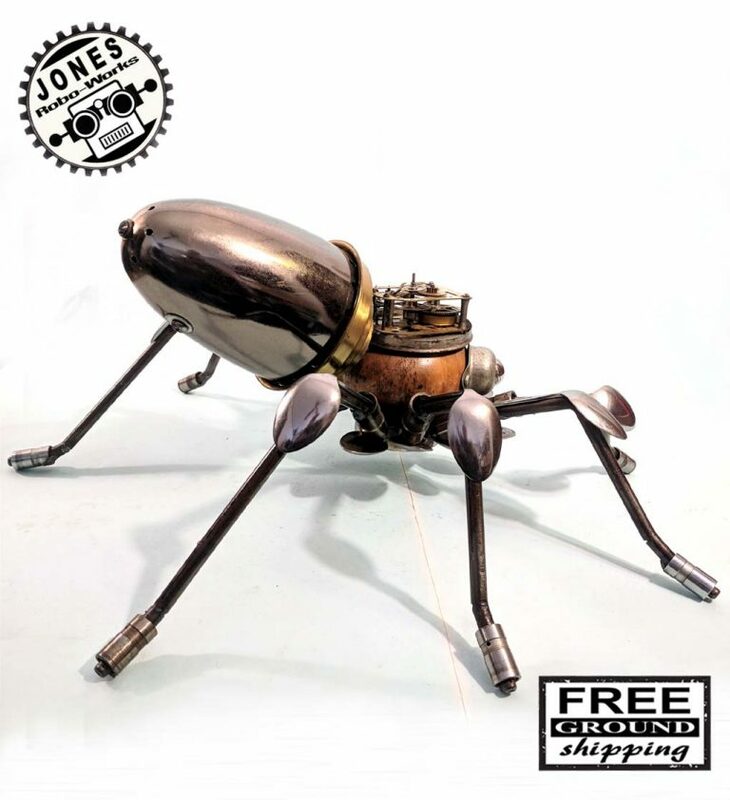 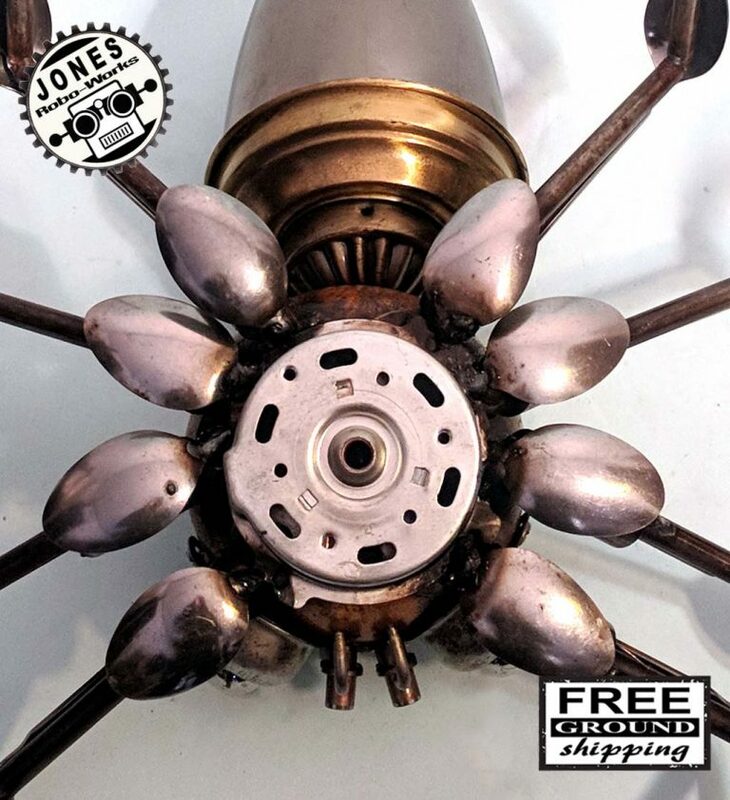 Introducing the Jones Robo-Works, Don Jones Mighty Steampunk Spider Bot Classic Robot Sculpture. 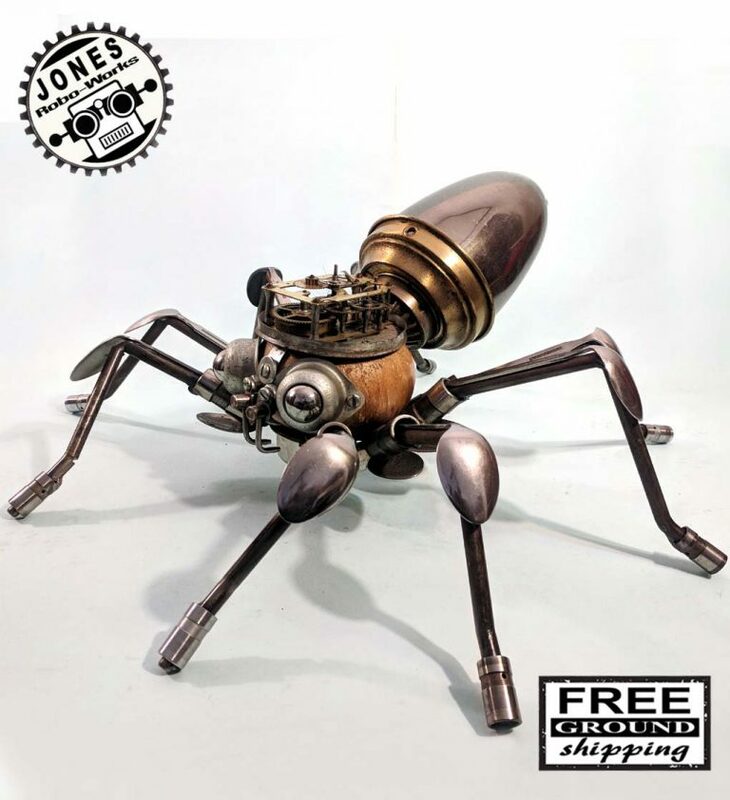 This great arachnid sculpture creation is sculpted in the true classic vintage steampunk tradition. 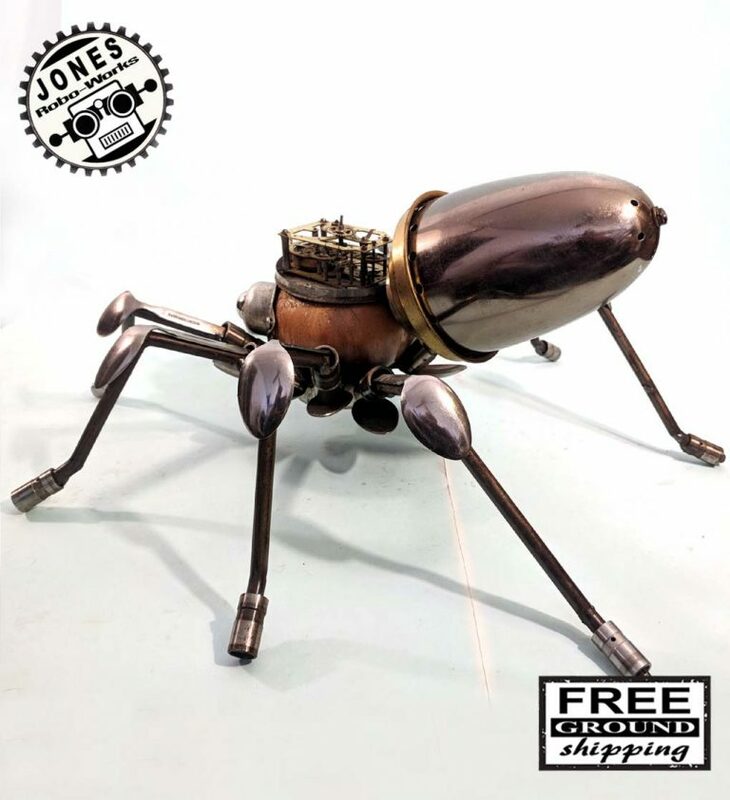 Weighing in slightly under 8 pounds and measuring 9 inches tall at the tail, 19 inches wide and 18.5 inches long from the head to the tail, it is the nicest Don Jones steampunk spider… so far! 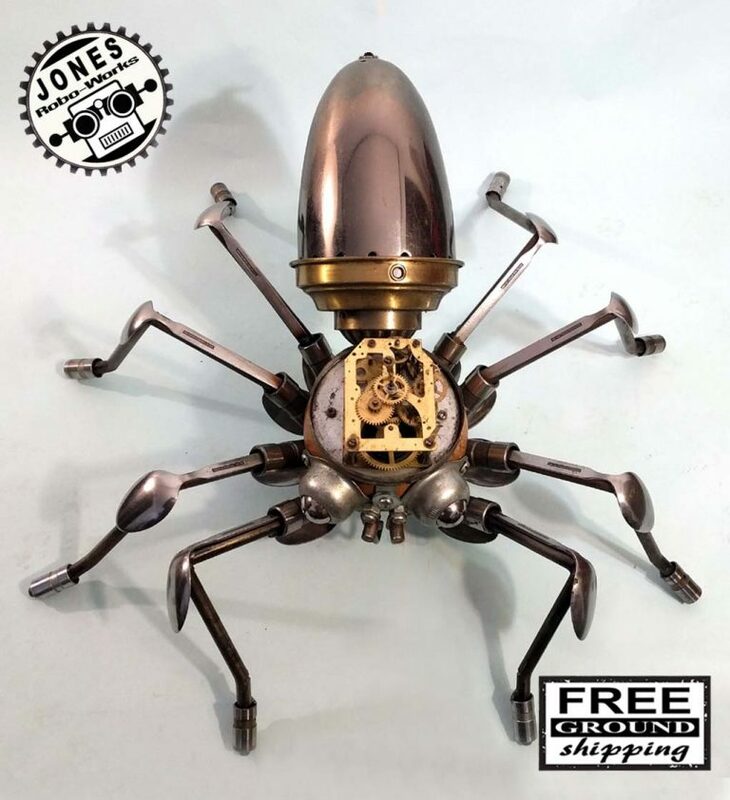 This piece is sculpted from an assemblage of robo parts such as old spoons, vintage clock mechanism, steel round stock, engine lifters, furniture parts, and various other items. 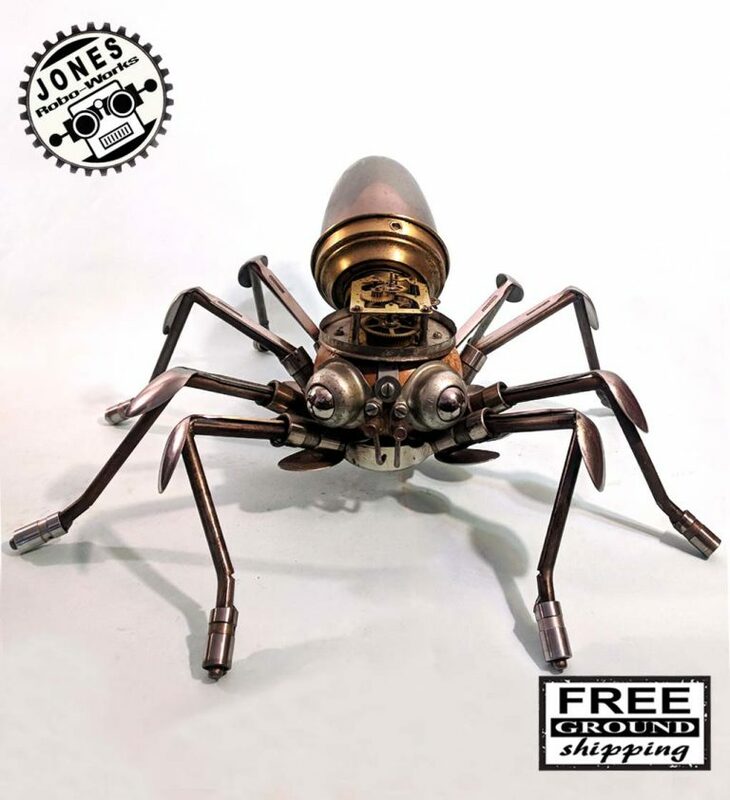 Spider Bot is intended as an indoor, floor or table display. 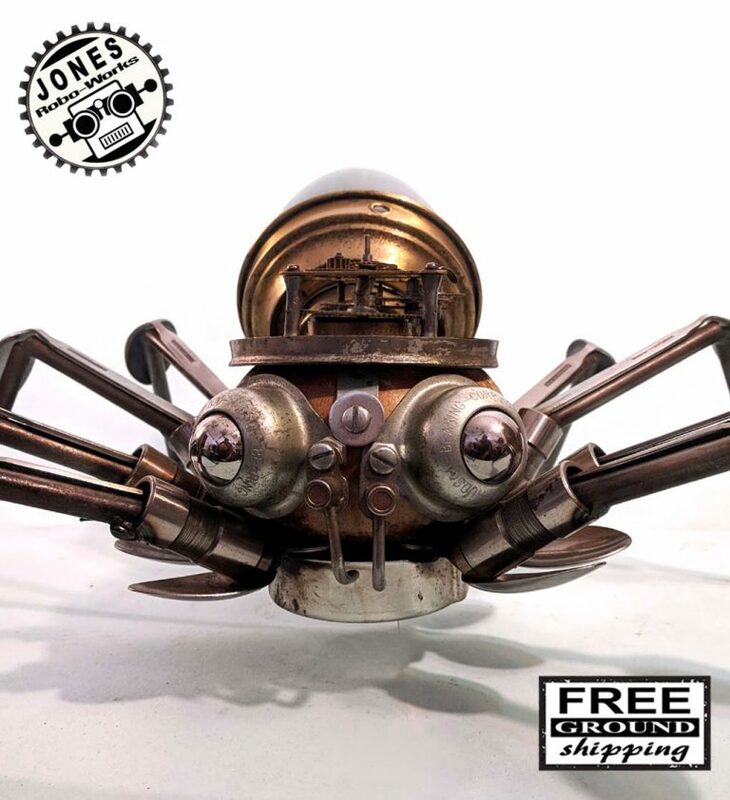 Spider Bot will be shipped via ground shipping service.